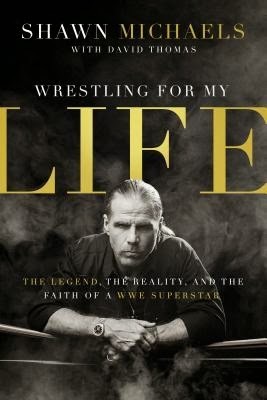 n Wrestling for My Life, WWE superstar Shawn Michaels shares from his heart about the highs and lows of his life inside the WWE. Included are some never-before-shared stories and an intimate look into his career as well as stories of hunting, family, and faith. I originally picked up this book because Ben is a huge WWE fan and always enjoyed Shawn Michaels. It's something that Ben and I have always enjoyed watching together so I knew there was a very good chance that I would enjoy this book as well. Turns out that I was right. The book isn't as preachy as I was originally concerned that it would be. Yes, Shawn mentions his faith, God and Jesus on nearly every page but it's done respectfully and not in a way that you feel as if it's being crammed down your throat. Having read this book, I'm very interested in finding a copy of the first book that Shawn helped to pen about his life. As for this book, it's a fine edition to both the wrestling and autobiography genres and both Ben and I are hoping to read more about the entertainers that we enjoy on tv every week.